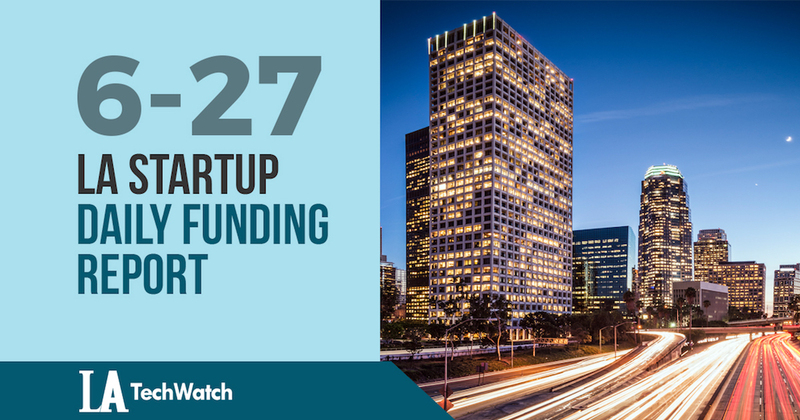 Here are the latest venture capital, seed, and angel deals for LA startups for 6/27/18. This page will be updated throughout the day to reflect any new fundings. Roadside assistance app HONK has raised $18M in Series B funding from investors that include Structure Capital, Double M Partners, Venture51, and Altpoint Ventures. Founded by Corey Brundage in 2014, HONK has now raised a total of $31.8m in funding over three funding rounds. Tea Drops, the provider of organic and bagless teas founded in 2014, has raised $1.9M in seed funding from investors that include AccelFoods, Cue Ball, and Halogen Ventures. Flowspace, the platform for on-demand warehousing, has raised $2.2M in funding from investors that include Y Combinator, Moment Ventures, and 1984 Ventures. Flowspace was founded in 2016 by Ben Eachus and Jason Harbert and has now raised a total of $3.5M in funding over three rounds. Corporate volunteering platform InvolveSoft has raised $2.5M in funding from investors that include Greycroft, LaunchCapital, Mucker Capital, Bertelsmann, Bonfire Ventures, and Noname Ventures according to a recent press release. However, there was a recent SEC filing indicating the amount raised was $4.5M. We are waiting to hear back from the InvolveSoft team for clarification. The company was founded by Gaurav Bhattacharya and Saumya Bhatnagar in 2017.
toot, the on-demand app that connects students with tutors and teachers that was founded by Randal Horowitz, Shaq Zabihian, and Sophia Parsa in 2015, has raised $1.1M in funding according to a recent SEC filing.